We have a great deal of experience in cleaning up after storm damage, including tree restoration of storm damaged trees done by our ISA Certified Arborists and MN Certified Tree Inspectors. Whether cold or warm weather, we are ready to help save every tree possible. 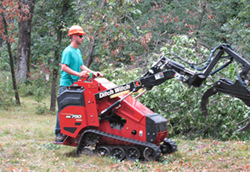 Unfortunately, some trees get destroyed and our team will get those trees safely and efficiently cleaned up for you. We have crews out cleaning up and saving trees damaged by the recent storms in the St. Cloud area and the Twin Cities. 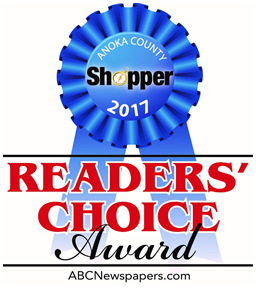 Call (763) 238-5254 to request an appointment today. 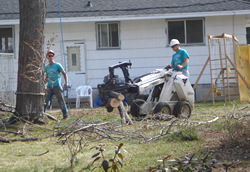 We wanted to thank John and his crew for the great work in trimming our trees in Springfield, Missouri. John and all of the folks working with him were excellent, simply excellent. 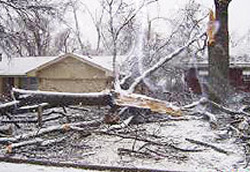 Springfield suffered one of the worst ice storms on record. John and his crew not only did a good job, they were excellent individuals to get to know. Our sincere thanks to everyone for making our home much safer while saving our trees.